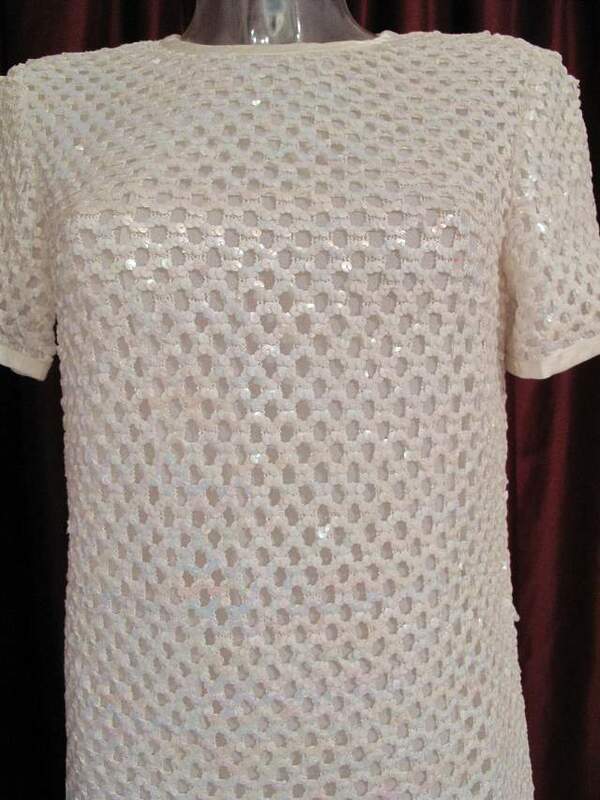 1960's Opalescent sequin chain mail mini vintage wedding dress. Shift dress with round neck and short sleeves, bound in satin. 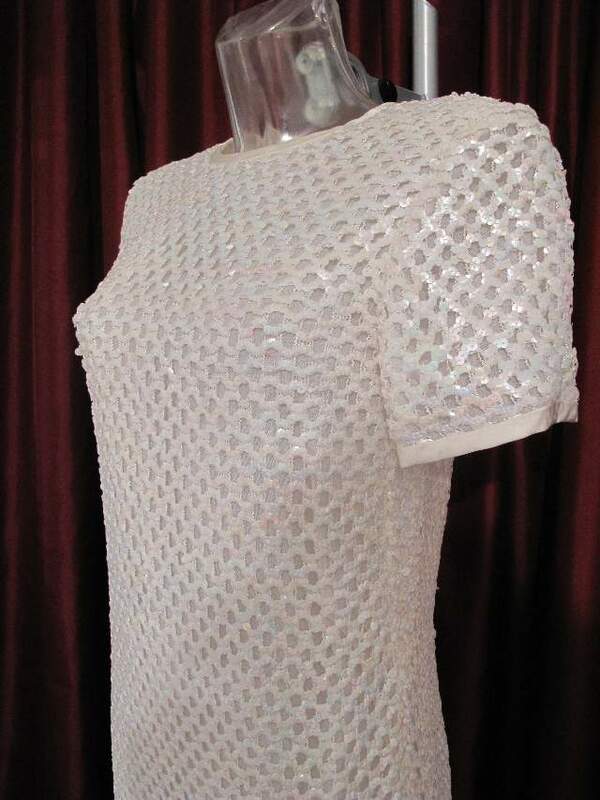 The dress is made of a mesh white opalescent sequins, with a white organza backing. 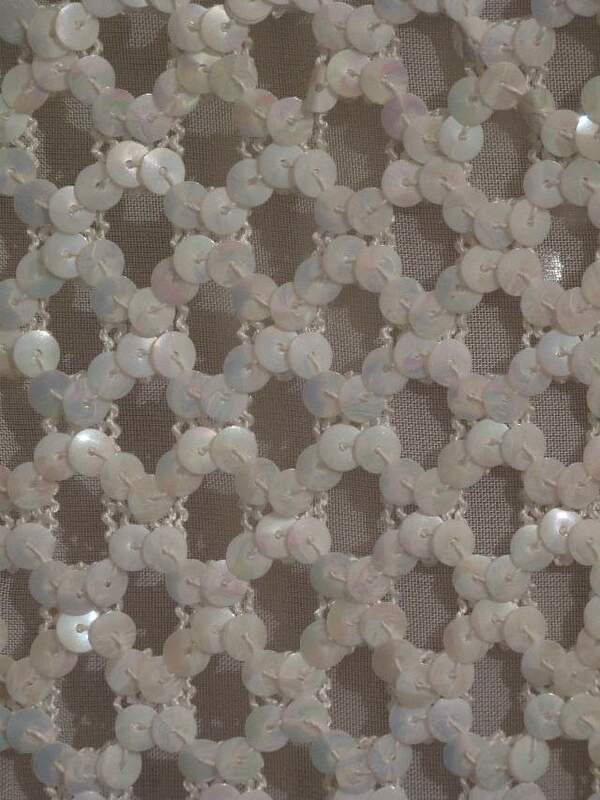 Famous for their designs in the 60's and 70's, the Susan Small label was famous for designing Princess Annes wedding dress in 1973.